Explicit Do Opposites Really Attract? I WANT TO DATE MYSELF...JKJKJK!!! Once again y'all have blessed us with a topic that we have very strong opinions on! Should you date someone like you OR is it better to date your complete opposite? Hear our advice on this week's episode of the BF Pod!!! 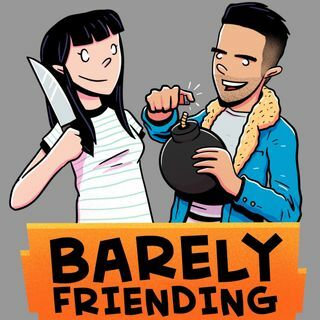 Check out our Patreon here: https://www.patreon.com/BarelyFriending. The Barely Friending Podcast is hosted by Eddie Della Siepe and MJ Riggins. ... See More Follow them on Twitter, Instagram, and Snapchat!